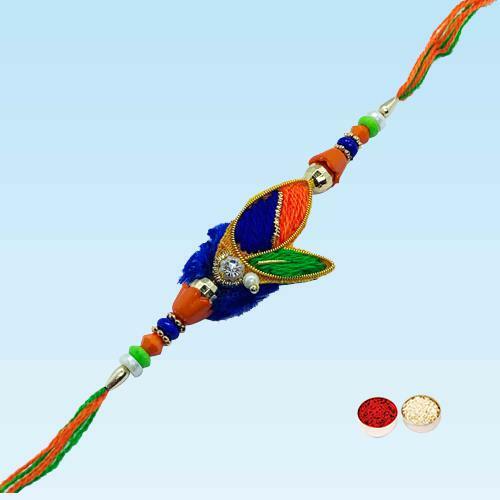 Make this Raksha Bandhan more graceful by ordering online this Charming Glittering Rakhi which arrives with a free Rakhi, Roli Tilak and Chawal for prosperity of your lovely siblings. The Rakhi is stylishly gift wrapped. A slight variation in design may take place.